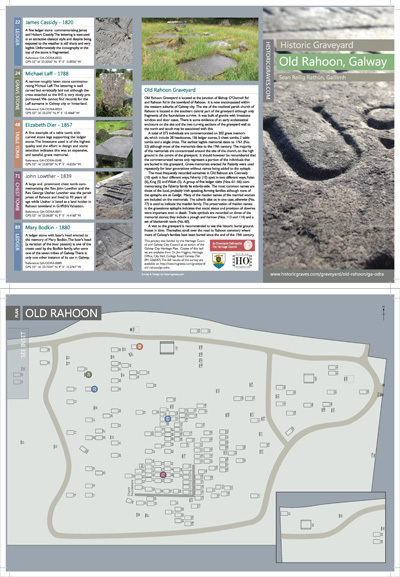 A survey of Old Rahoon graveyard was undertaken by Eachtra Archaeological Projects on behalf of the Heritage Office of Galway City Council. The grave memorials were planned, photographed and recorded. 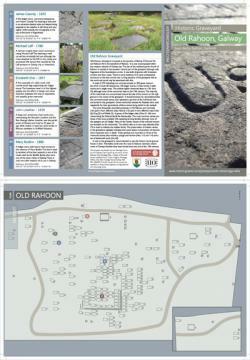 The full results of the survey is available on http://historicgraves.com/graveyard/old-rahoon/ga-odra. A leaflet was produced and designed for visitors to the graveyard and it is downloadable here in PDF format.